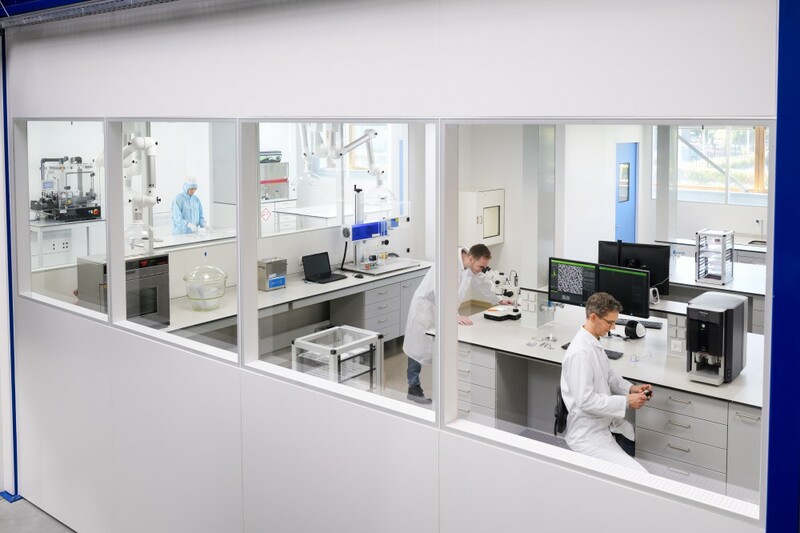 Waalre, The Netherlands, September 20, 2018 / B3C newswire / -- Medical Technology company IME Medical Electrospinning, developer, producer and scientific partner in the field of biomedical electrospinning processes and equipment, today announced that its high-end laboratory and a brand new set of cleanrooms have become operational. 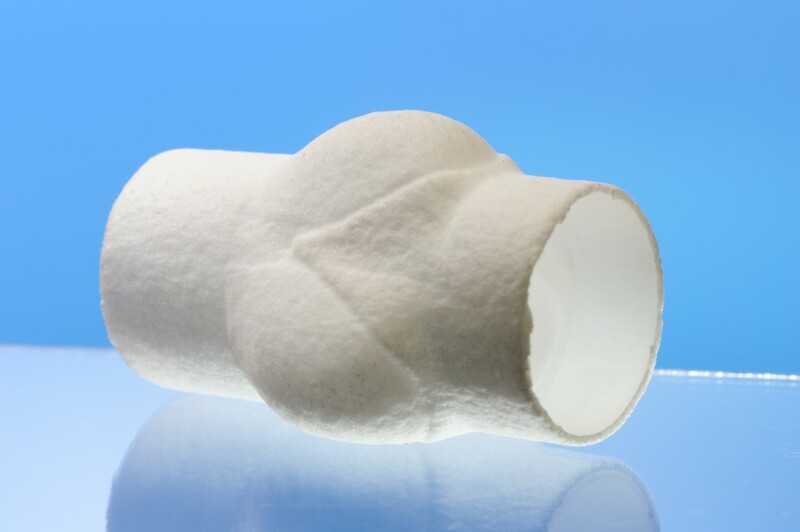 With the commissioning of these essential high-tech assets, IME sets the standard in the co-development and production of scalable and reproducible nanometer and micrometer fiber scaffolds that enable the industry to develop medical implants that support the human body to auto-repair tissue of for instance heart valves, blood vessels, nerves, tendons, skin and bone. IME's technological solutions are able to mimic the natural human extracellular matrix for implants in the human body in nanometer and micrometer format, applying various polymers. Human cells interact with these structures and MedTech products can be developed that lead to regeneration and the formation of new natural body tissue. This is in contrast to implants of traditional structures, which often are seen as foreign and therefore can lead to scar tissue or rejection phenomena. Since the move to their new building in March this year, the company has been working unrelenting on realizing the laboratory with two new cleanrooms. From now on IME is able to not only develop and manufacture its top-end proprietary electrospinning machines, but to also produce the actual scaffolds for the intended medical implants for their customers. 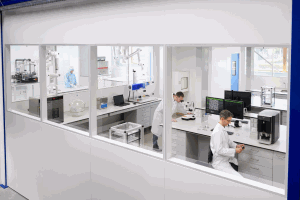 The cleanroom facilities will enable the production of Class I, II and III medical devices. IME Medical Electrospinning develops scaffolds for a high variety of medical applications in close collaboration with an ever-growing portfolio of customers and partners worldwide within the industry, the scientific environment, hospitals and medical institutes. Multiple products manufactured using IME’s technology are now either on the market or in clinical development. Electrospinning in itself is a simple, versatile and powerful process for manufacturing nano- and micro fibrous 3D structures. Many natural and synthetic polymers are electrospun and have found applications in fields like energy, air filtration systems, waste water, textiles and biomedical research. During conventional electrospinning a polymeric solution is pumped through a tube to the spinneret, a small nozzle connected to a high voltage supply. Due to the applied electric field, the droplet at the end of the nozzle is deformed via the uniaxial stretching into the so called “Taylor’s cone”. When the electrostatic force surpasses the surface tension, the solution forms a jet, ‘flying’ from the nozzle to the grounded collector. This charged jet follows a chaotic path and the solvent evaporates during this travel, which results in the deposition of solid fibres on for instance a collector plate or a rotating mandrel. The electrospinning process is governed by a number of variables which can be divided into solution properties like viscosity, polymer concentration and conductivity, and process parameters like applied voltage, flow rate, collector geometry and rotation speed. The challenges in controlling all these parameters independently were limiting the development of medical devices. In particular the changes in temperature and relative humidity between the seasons and during the day, lead to inconsistencies within one batch as well as between batches. These reproducibility issues have led IME Medical Electrospinning to study the effect of humidity and temperature on the process, and resulted in the first commercially available, environmentally controlled electrospinning platform with unprecedented accuracy. 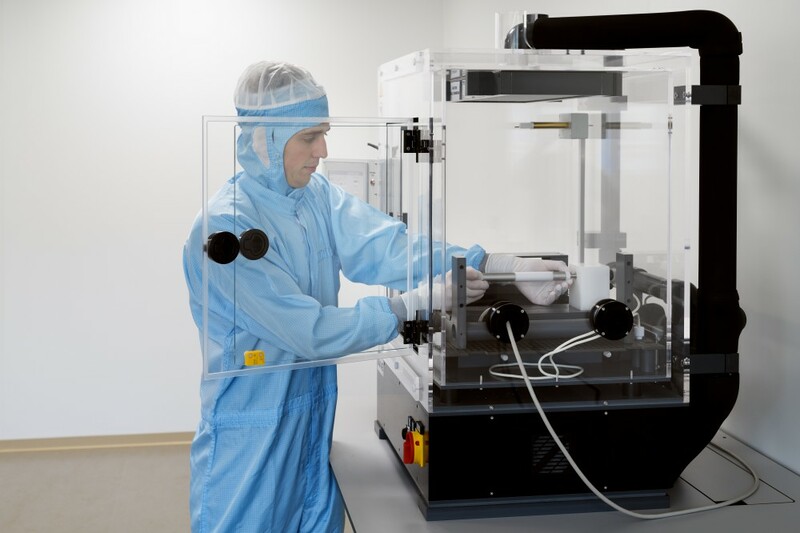 During the last couple of years IME has been the world leader in further improving the electrospinning process for MedTech applications and has now added several additional features to even better control the stability of the fibre creation and the positioning of the fibre on the collector. Furthermore, on-line quality monitoring and control of static electricity enable the reproducibility and scalability of the process. 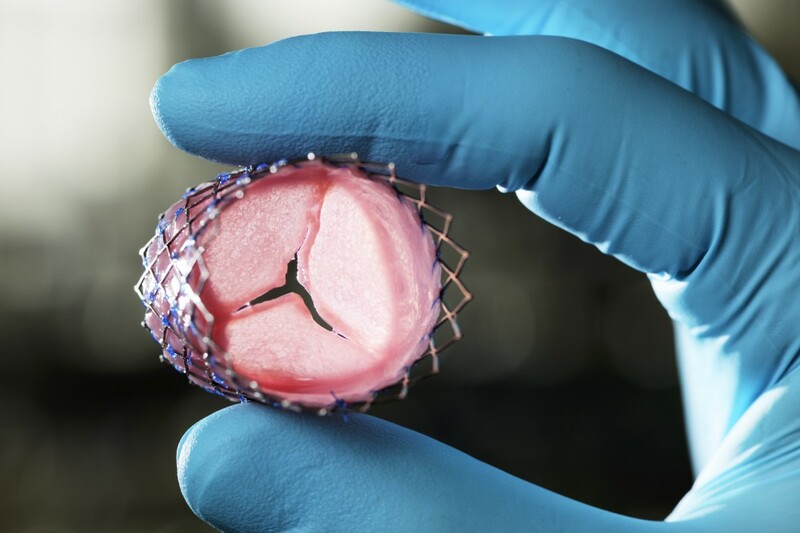 IME’s unique innovations have shown how important tightly controlled environment conditions are, in order to stabilize the process and to obtain reproducible scaffold morphologies. The possibility to assure stable conditions drastically improves the reproducibility of the electrospinning process, hence it is to be expected that many more electrospun medical devices will reach the market and, foremost, benefit the patients suffering from at present non curable diseases and conditions. IME Medical Electrospinning focuses on developing and implementing electrospinning processes and equipment for the manufacturing of medical devices for (regenerative) medicine. Electrospinning is a flexible process for producing extremely thin fibres and structures that have excellent properties for use in regenerating human tissue. IME Medical Electrospinning has developed a unique set of innovations in technology for the reproducible and scalable production of electro spun material under tightly controlled conditions required for the MedTech market. Customers include the regenerative medicine industry, scientists and health institutions. Shareholders in the company are Dutch economic development company De Brabantse Ontwikkelings Maatschappij (BOM) and informal investor network TIIN Capital (TIIN).